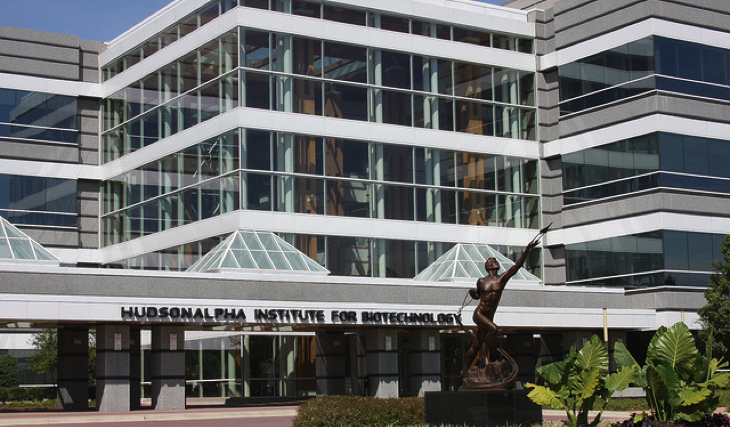 Huntsville, Ala. – Four scientists at the HudsonAlpha Institute for Biotechnology made Clarivate Analytics’ 2018 list of Highly Cited Researchers. The list requires a citation count that ranks a researcher in the top 1% in their field. The 2018 list aims to identify the “small fraction of the researcher population that contributes disproportionately” to the advancement of science. It measured influence across 21 different fields from 2006-2016. HudsonAlpha President and Faculty Investigator Richard M. Myers, PhD, made this list for his work in Molecular Biology & Genetics. Specifically, Myers has recently published advancements in understanding psychiatric and neurodegenerative diseases. His work has explored the genetic underpinnings of illnesses including schizophrenia, depression and Alzheimer disease. Devin Absher, PhD, a faculty investigator, was also put on the list for his contributions in Molecular Biology & Genetics. Absher focuses on epigenetics, the study of what leads some genes to be expressed more than others. That research covers a broad range of human health, from heart disease to cancer. Faculty investigators Jeremy Schmutz and Jane Grimwood, PhD, were both recognized for their work as well, much of which stems from the Genome Sequencing Center (HGSC) at the Institute, which they co-direct. Their research focuses on developing our understanding of agricultural genomics, pushing us closer to the foods and biofuels of the future. Schmutz was listed specifically for his contributions in Plant & Animal Science. Grimwood was listed as having Cross-Field contributions.